Rotary Vane Vacuum Pumps – Vacuubrand, Inc.
Rotary vane vacuum pumps are machines that create a vacuum in an enclosed space. A vacuum is the absence of matter in an area. No perfect vacuum exists, nor is it possible to create one, but vacuum pumps can create partial vacuums in enclosed spaces. There are many contexts in which the creation of an artificially evacuated space is required. In the production and design of electronics like superconductors, in electron microscopy and during the use of some kinds of analytical instrumentation, workspaces that are mostly free of air molecules or microscopic airborne contaminants can be necessary. Even production of common consumer products like eyeglasses and shaving razors make use of sealing and forming techniques that require vacuum pumps. In healthcare settings, vacuums are used to provide suction during surgical procedures. 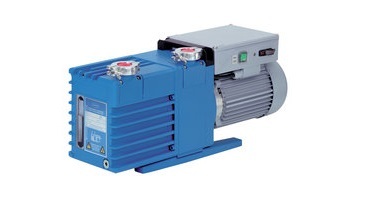 Rotary vane vacuum pumps are a very common variety of vacuum pump. Most vacuum pumps feature rotating vanes, blades, impellers or paddles that move gasses in and out of an enclosure. Every kind of pump with those features can be considered a rotary vane vacuum pump, though there are usually more specific designations that distinguish pump varieties from each other. 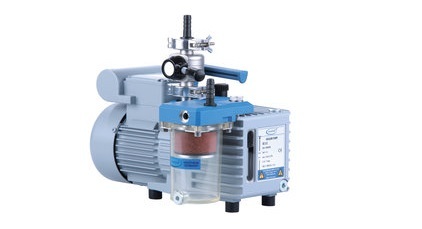 Liquid ring vacuum pumps, for example, feature a rotary and vanes that spin around an enclosure. What sets them apart is that they are sealed by a ring of water that helps to compress air and prevent it from re-entering the evacuated area. Both dry vacuum pumps and pumps that use oil for sealant or lubrication feature spinning blades as well. Rotary vane vacuum pumps are a kind of positive displacement pump. They can be oil-sealed or dry, and are often direct-drive in their construction. They are among the simpler vacuum pump designs and may not be suitable for the creation of high vacuums. Rotary Vane Vacuum Pumps In many settings, rotary vane vacuum pumps may be used for vacuum generation. Rotary vane vacuum pumps feature a round enclosure, a rotary with vanes set within the enclosure and tubes for inlet and exhaust purposes. The inlet is connected to the area from which the pump removes atmosphere, and the outlet can lead to additional pumps or to an exhaust port.